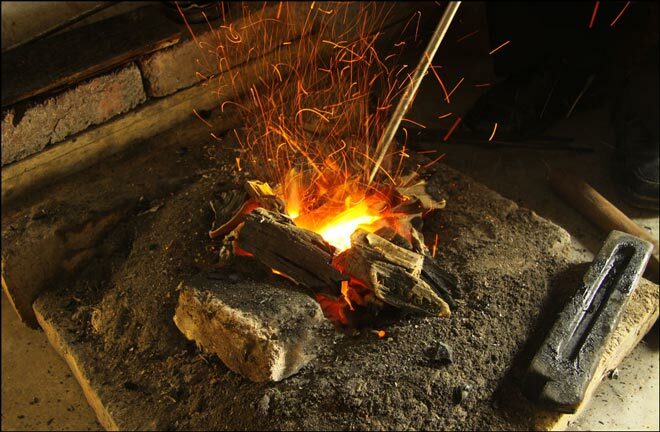 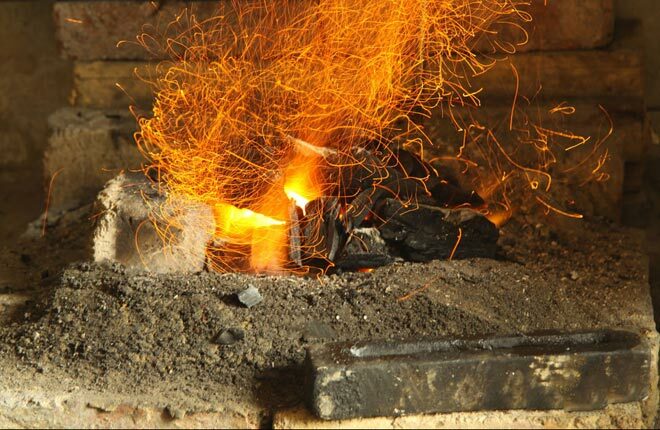 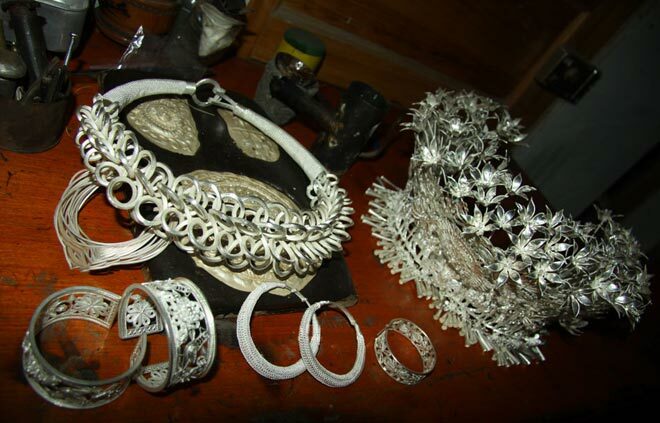 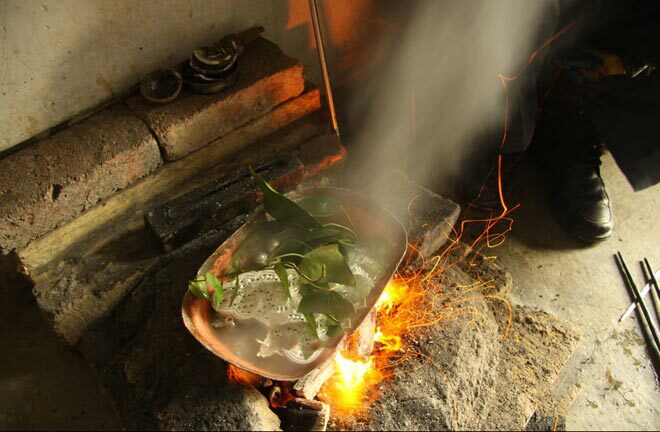 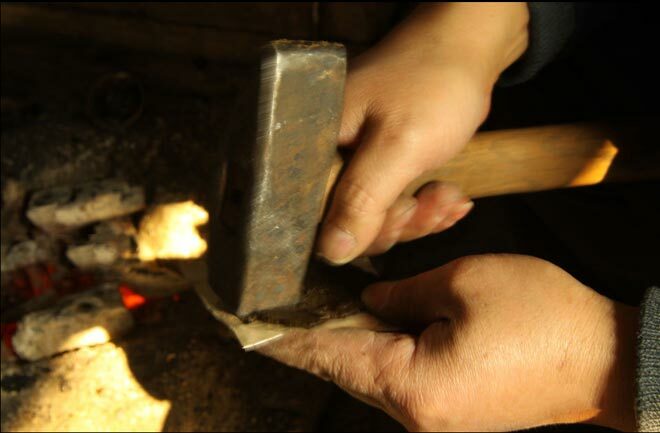 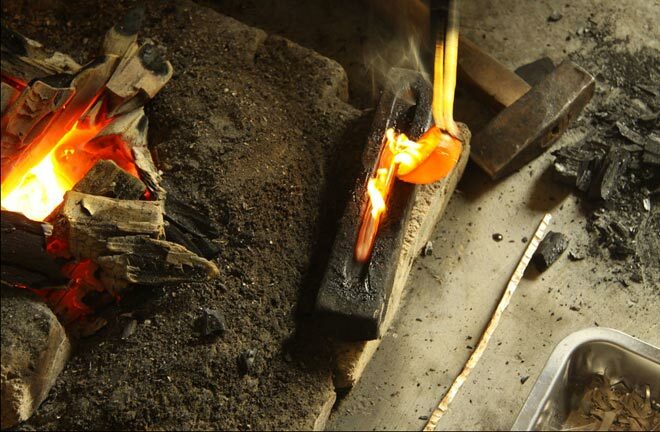 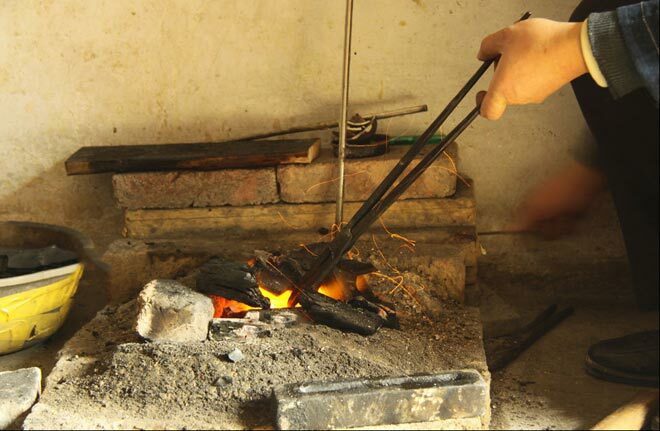 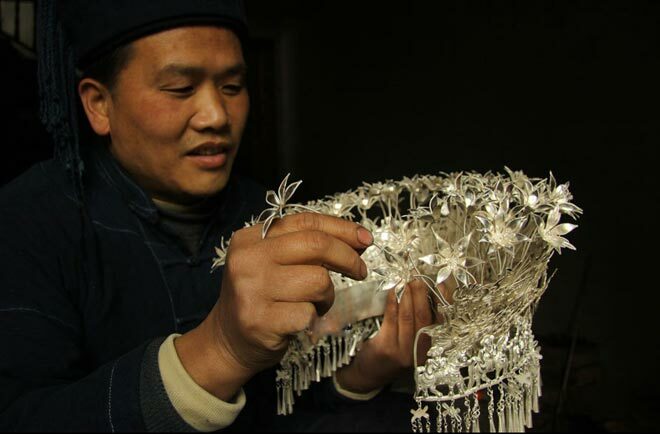 Silver forging is Miao folk unique skills, all ornaments are made by hand. 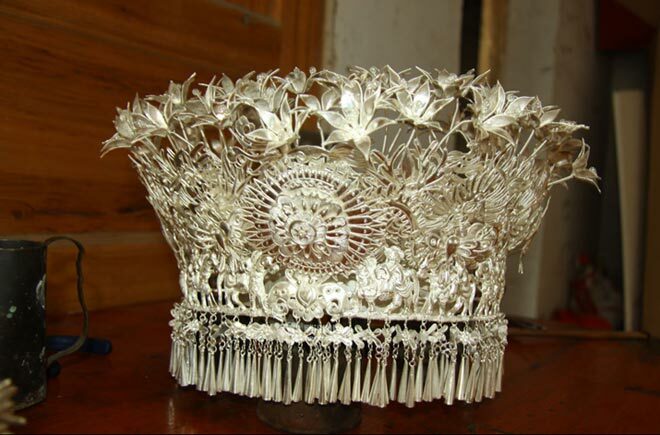 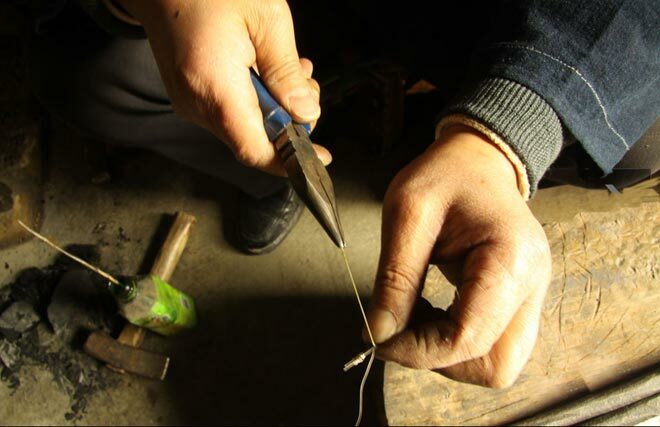 In the villages such as Kongbai village, Maliao village, Wugao village etc, Xijiang Town, Leishan County, the processing of Miao silverware is based on manual family operation. 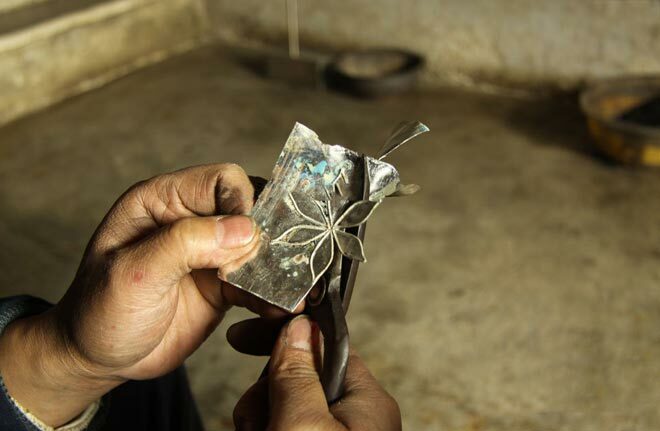 Miao silversmiths are generally inherited his father's business, from generation to generation, and the craft rarely rumor. 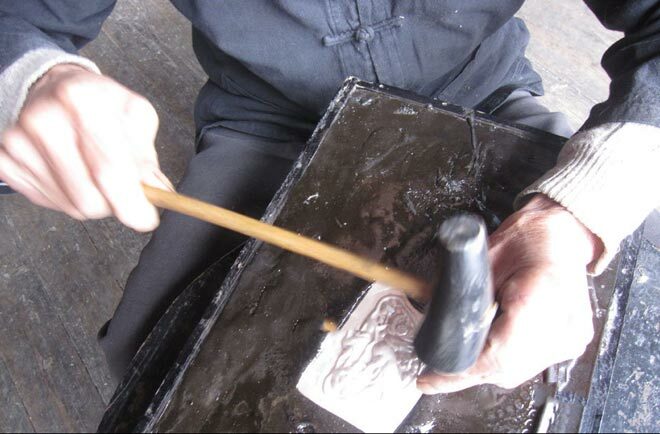 Beautiful silver cap is done. 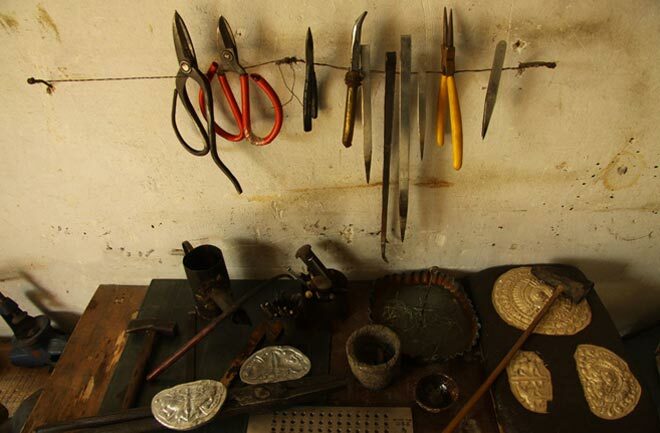 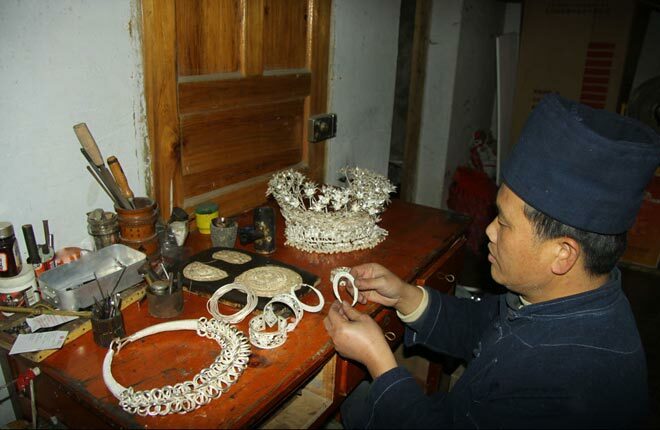 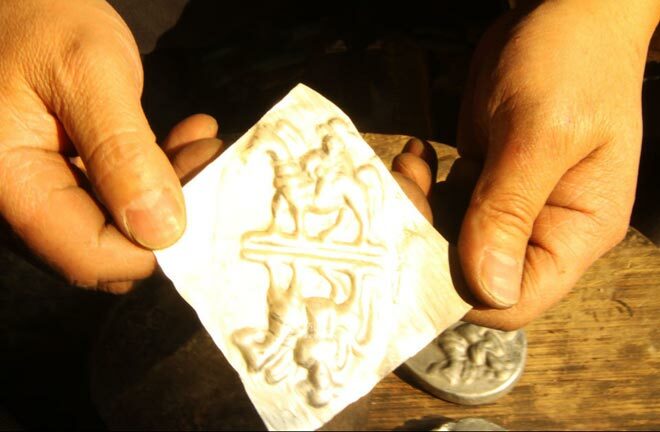 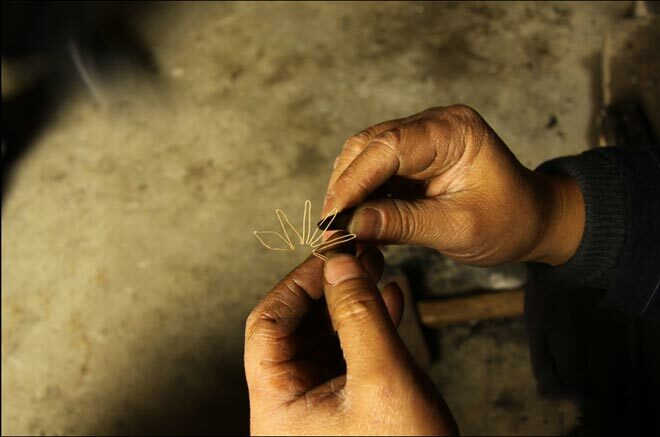 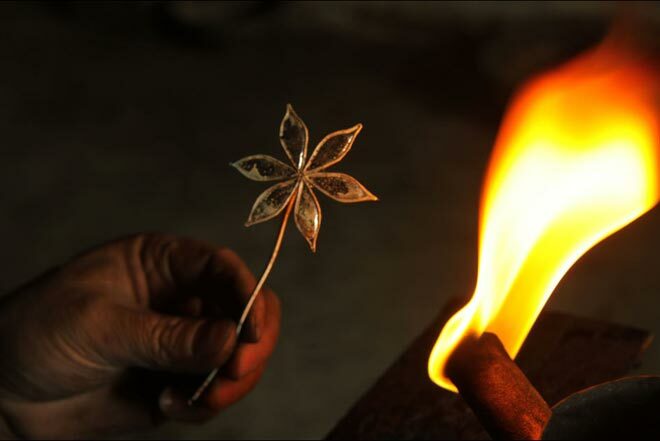 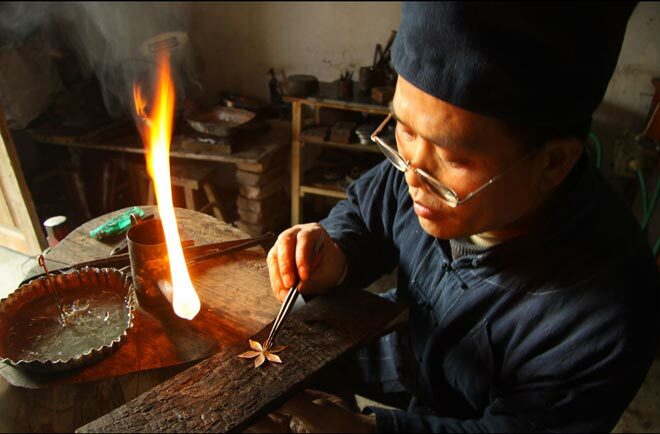 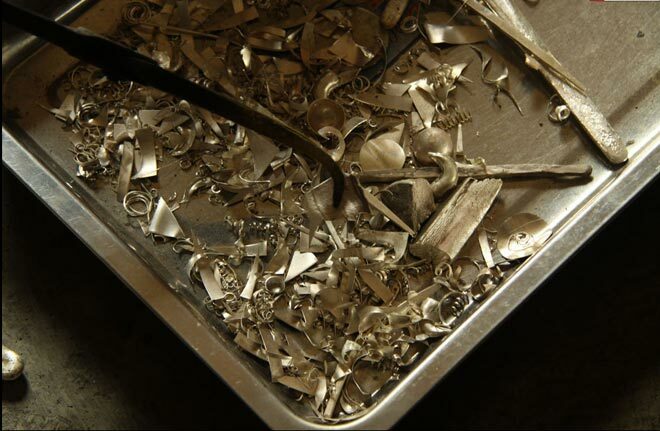 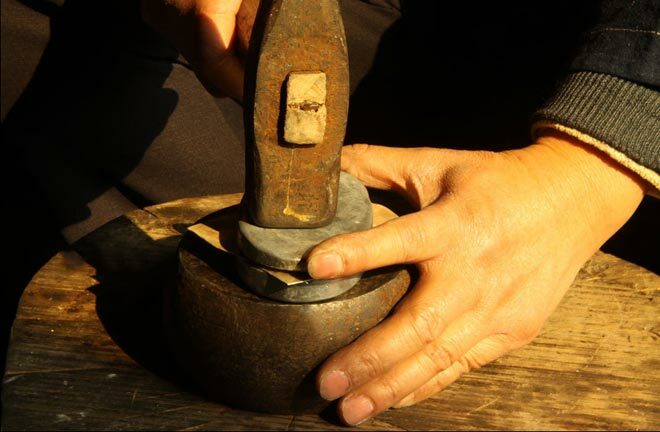 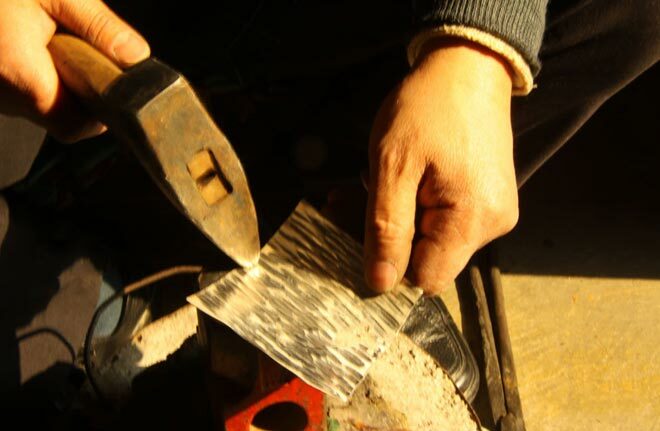 National intangible cultural heritage inheritor Guangbin Yang is testing the silver jewelry he makes himself. 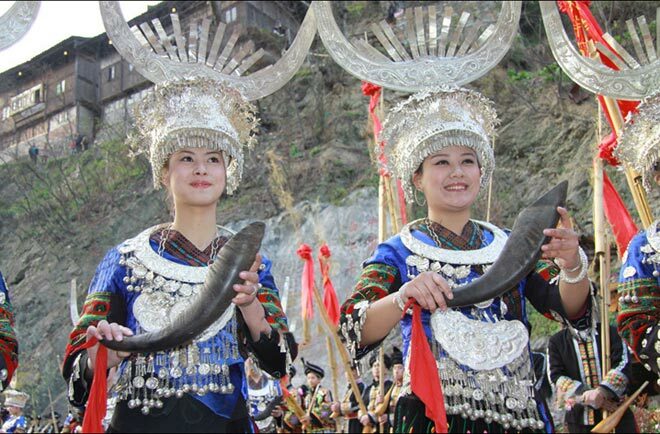 The dressed up Miao women toast guests with horns wine?